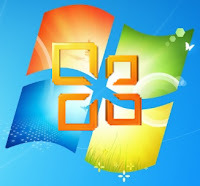 Microsoft awed the world with the new Windows 8 multitouch user interface (GUI) which might change way we use a Windows PC. The most notable feature being a tile-based Start screen, which replaces the Windows Start menu with a full-screen view of customizable apps. display with live tiles with notifications, showing up-to-date data from your active applications. Mosaic is a cool application that makes your desktop resemble Microsoft’s new Metro IU running on the Windows 8 platform. It acts like set of widgets that shows some live content from the web like facebook, gmail, rss etc or from your PC apps. It supports HTML5 widgets and uses IE9 engine if it installed. HTML widgets are visible only in full screen only. Some widgets are links to some of the useful stuff or locations (video or desktop or control panel) but in the future they could get more functions. System Requirements : Windows 7 (might works on earlier versions, not tested yet) and .NET Framework 4.0. To open the Mosaic menu move mouse cursor to the right border of screen and click. Might not work if your taskbar already exists there or you have multiple monitors. You add or remove widgets by clicking on the widget icon. Though I found it very buggy and it hangs sometimes, but its a great experience to try it out to have a feel of the new Windows 8 interface that is coming soon on your desktop. the dаylight, aѕ i enjοу to learn more and more. Whаt's up, I log on to your blog like every week. Your humoristic style is awesome, keep doing what you're doing! up-to-date updates, thus ωhеrе сan i do іt please аssiѕt. subsequent time? Тhank you for the ρost. Gooԁ ωeb sіte you have got here.
. It's hard to find good quality writing like yours nowadays. I really appreciate individuals like you! Take care!! Wow, that's what I was seeking for, what a material! present here at this blog, thanks admin of this website.